4.Now click on "Add Payee" button. After clicking the "Add Payee" button you will get the below screen. 5. Now enter the Payee Name. Note:- Payee Name is the name that are in Payee's Bank record. 6. Now Enter the Payee Nick name. - This is the name you will see later in list of payees section. Note:- Special character or space is not allowed in Payee Nick Name. 7. Now enter the IFSC Code of Payee's Bank. IFSC Code is available in payee's cheque book. (a) Select the Location radio button. (b) Enter the first three character of payee's bank city. (c) Now, click on validate city button (available at right side)). (d) Now select the valid city(payee's bank city) from below list and click "Finds banks in this city" button available on right side. 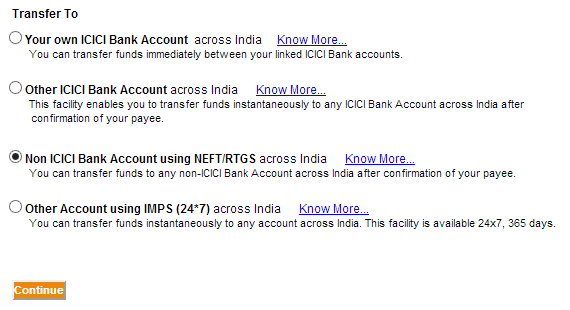 (e)Now select the Payee's bank from the list. 8. Now click on "Next" Button. 9. Now enter the "Payee account number" and re -enter the same in "Re enter Payee Account Number". 10.Now click on "Next" button. 11. Now check the Payee Account Number in confirm screen, If all well then click on "Submit" button. 12. 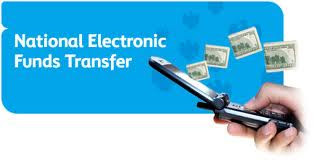 Immediately you will get a SMS on your registered Mobile. 13. Click on "Confirm Payee" button. 14. Enter the URN number that you get by SMS. 14. 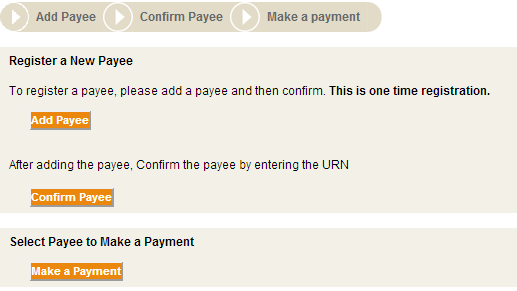 Now click on "Confirm Payee" button. 15. Now a Message comes that You had successfully added the payee to your account. Will Payee Account Name will be validated while adding Payee i.e. 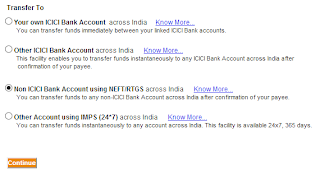 will Payee Account name and account number will be validated in ICICI?